It was my kind of day yesterday. Warm sun, a slight breeze, and time available to get in the garden. Perfect weather! We are doing a major tackle of our flower garden this year which will be shown in an upcoming post. But suffice it to say, the grass has been winning. So we’re rolling up our sleeves and plotting our strategy for winning back the space for our flowers. Yesterday definitely put me in the mood for bright flavours and grilling. It also reminded me that I need to get our outside table cleaned and set up with the chairs. It would have been lovely to have dinner outside. I discovered at the co-op that wild sockeye salmon is back in season so that was the base of the meal for my daughter and I. For my husband and son I grilled up some curry chicken sausages and grilled veg. But for me the salmon was the prize. 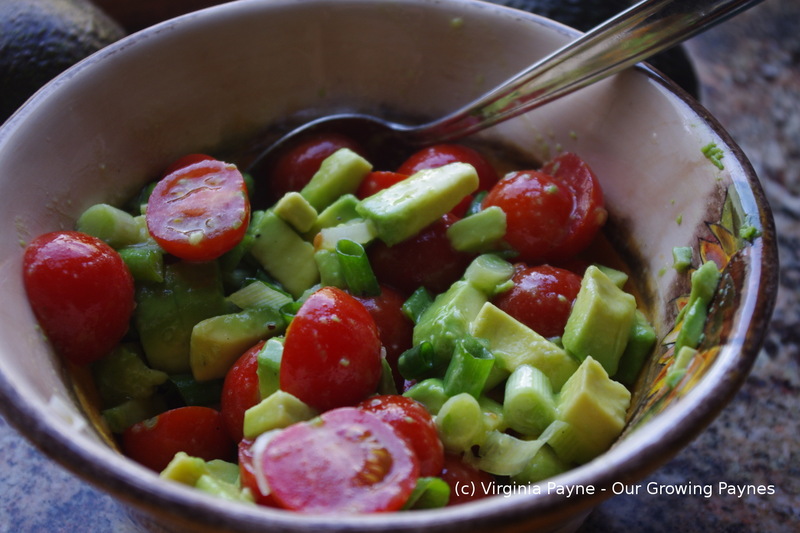 I found this recipe for tomato avocado relish and thought I’d do a version for our dinner. One thing I love about the warmer weather is many dishes that go on the grill are so easy to throw together and you can have a fabulous fresh meal in less than 30 minutes. And clean up is even easier! I prepped the food in stages as the sausages had to go first. 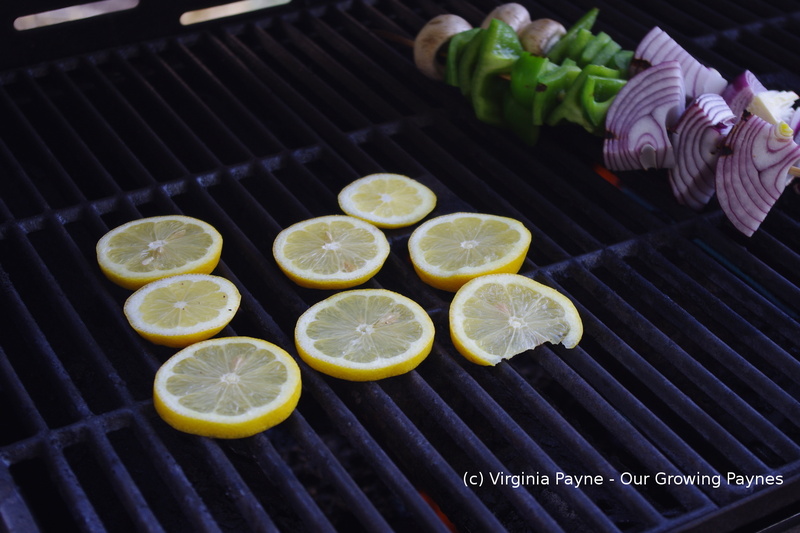 I sliced up the lemon for the grilling. This is one of the lightbulb moments when you first see it. 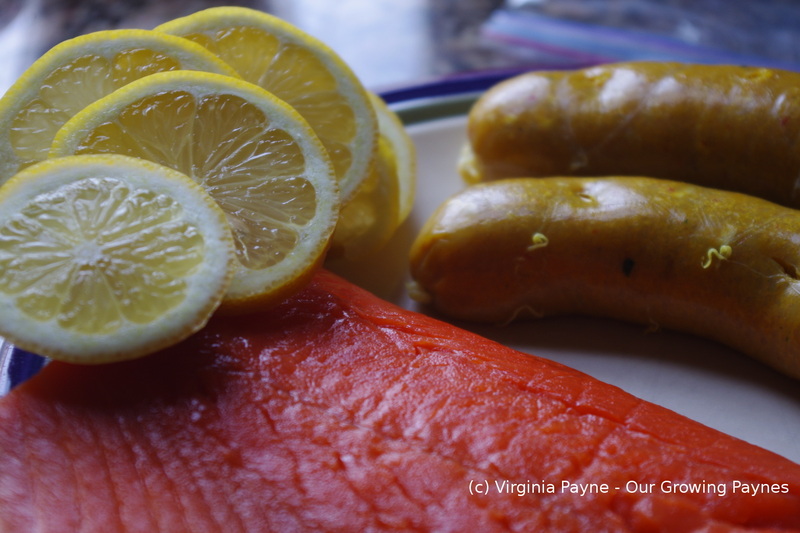 Grill the salmon on the lemon! It is such a no brainer but really raises the flavour profile on the dish. I will definitely be using this method going forward. To make the tomato and avocado salad I first did up the dressing of 2 parts olive oil to 1 part white balsamic vinegar and whisked it to an emulsion then seasoned with salt and pepper. I sliced up an avocado. This is fast becoming one of my favourite foods. 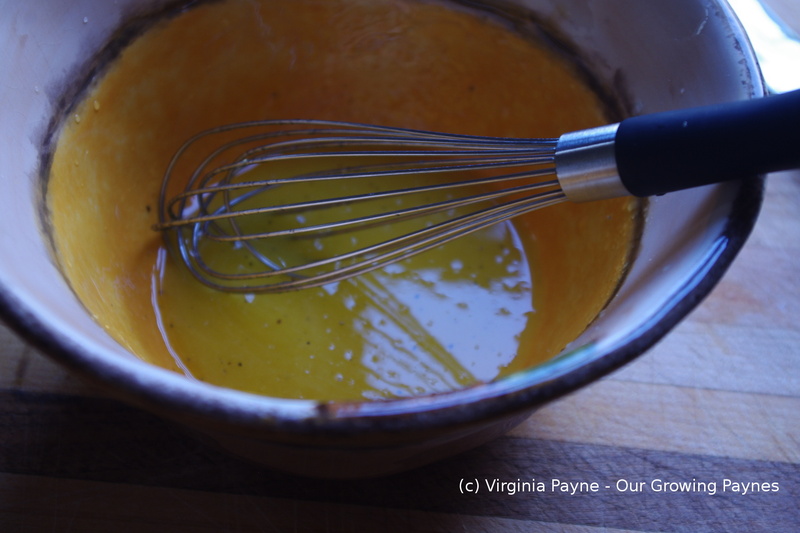 It goes well in a lot of dishes but is also a superfood so for me it’s a win-win. My other favourite foods include crisps which isn’t on the superfood list by any stretch of the imagination. So I’m getting one right! 🙂 Chop up a fresh scallion. I’m not a huge fan of raw onion as it is too much for me but in dishes like this it gives it just enough zip. I found at the co-op some local cherry tomatoes, they must be grown in a hot house and while not the same as fresh from the garden they taste better than those trucked in from afar. 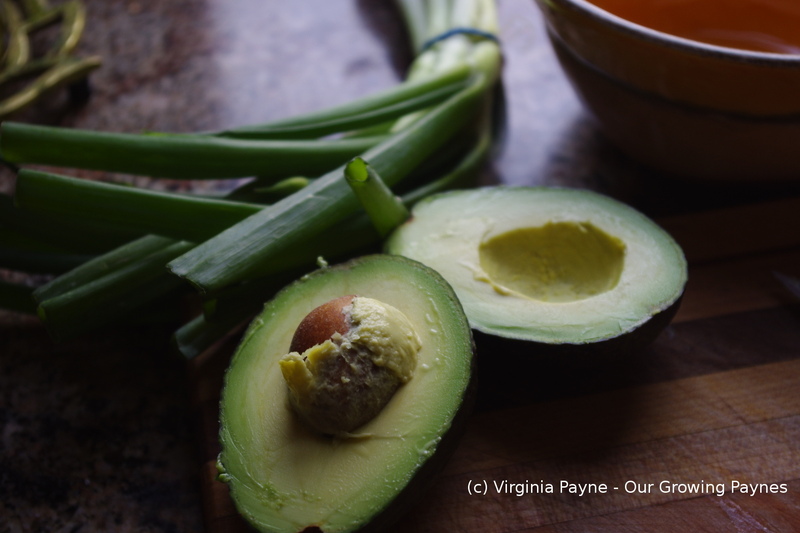 Slice them in half and add them to the dressing along with the scallion and avocado. Toss to coat with the dressing. 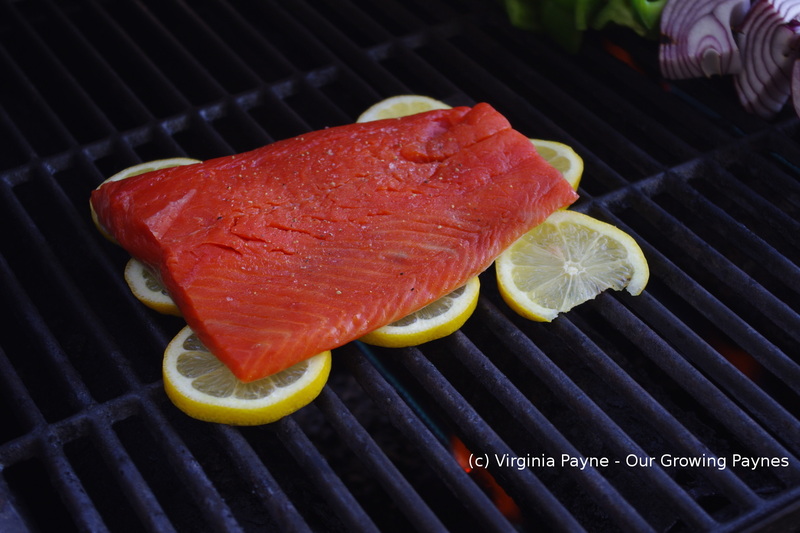 Set aside and spread out the lemon slices on the hot grill and place the salmon on top. This is a great trick for two reasons, one it doesn’t stick to the grill, and second it imparts a lovely lemony flavour to the fish without overpowering it. Once the fish is cooked place it on some mixed greens and top with the tomato avocado salad. I’ll admit I went for presentation for the photo then added more of the tomato avocado salad! My daughter and I loved this dish and I look forward to having it again. 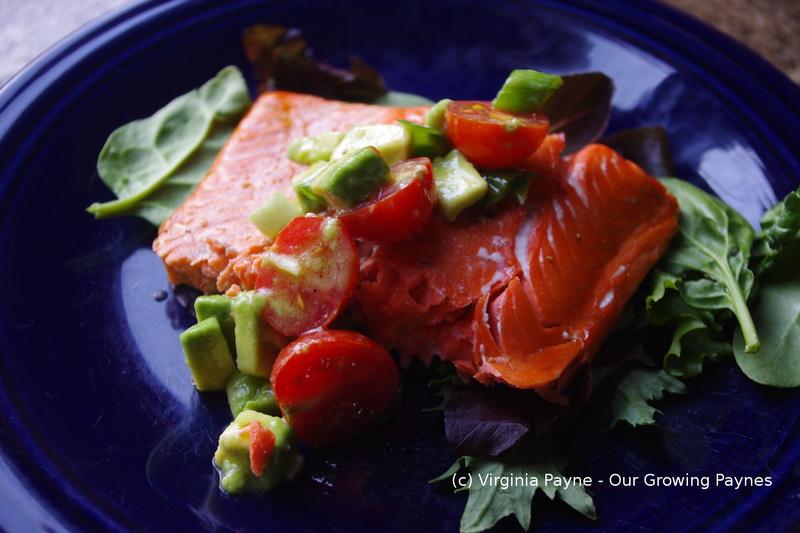 This entry was posted in recipes and tagged avocado, avocado salad, cooking, dinner, food, grilled salmon, grilling, olive oil, salad, salmon, salt and pepper, sockeye salmon, tomato, tomatoes, white balsamic vinegar, wild sockeye salmon. Bookmark the permalink. We are on the same wave length – had grilled salmon last night also. 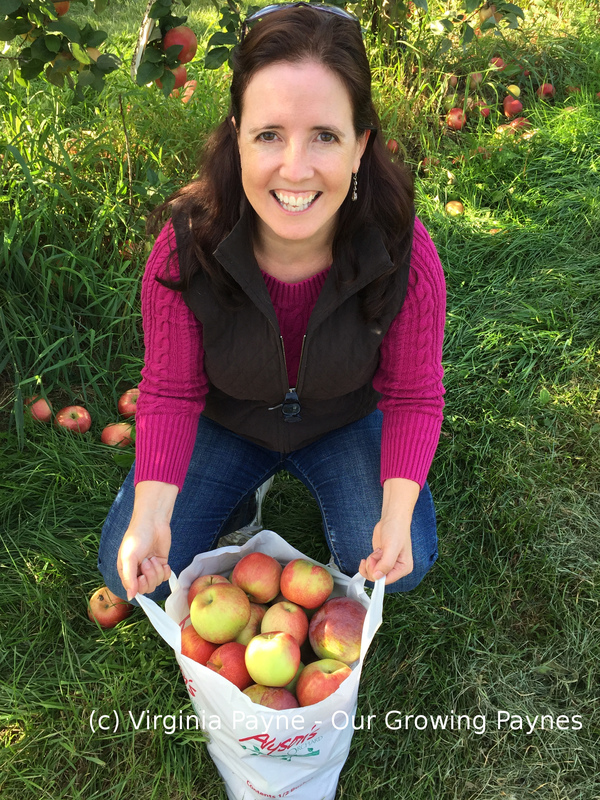 Very nice pictures indeed…there’s been a noticeable leap forward in your pictures..
Oh thank you! I’ve been trying. It does help to have more natural light to work with at dinner time. That salmon is cooked to perfection! And love that refreshing vegetables that goes with it on such a beautiful plating. I’ve never tried white balsamic vinegar. Must buy. Also, those sausages look interesting–not like normal sausages. What are they made of? They were curry chicken sausages made by our co-op. They were ok but not fabulous.